Don't let a savings opportunity get away…if you haven't visited our Facebook page's Welcome tab yet, go right now. Our April Social Networking Sale expires at the end of the month, so there are only one day left to save an EXTRA 5% OFF Simco-Ion Ionizers. Take advantage of our special sale on Simco-Ion Ionizers like the Top Gun™3, the powerful Aerostat® XC, and the Aerostat® PC. Getting a quality, industrial ionizer from Simco-Ion AND saving money…sounds like a pretty good deal to us. All you need to do to get your EXTRA 5% OFF savings is to "Like" us on the Welcome tab of our Facebook page. After doing that you'll have access to the April Social Networking Sale offer code and you'll be signed up to access all of our future offers on other great QSource.com products. We recently told you about an excellent video we discovered, "The EEV Blog's Soldering Tutorial Video: Fun, Informative Tips for Soldering Newbies". Today, we're back to tell you about the second video in the Electronics Engineering Video Blog's tutorial series, "EEVblog #183 – Soldering Tutorial Part 2." Hosted once again by Dave Jones, this 34-minute video is an excellent demonstration of basic soldering techniques using the standard soldering tools discussed in Part 1 of the tutorial series. Using a Hakko 926, which has been replaced by the Hakko FX-888 Soldering Station, Jones completes several soldering applications such as soldering a standard IC onto a board, soldering wires into a D9 Solder Cup Connector, and soldering a TO-220 Metal Tab onto a board. Use a quality-brand temperature-controlled soldering iron. Use a quality-brand <0.5 mm solder. Flux is everything. Whether it's in the solder itself or separate. Use the right soldering tip. The chisel shape is the best for most applications. Don't bring the solder to the joint! Start with the soldering iron on one side and the solder on the other side. 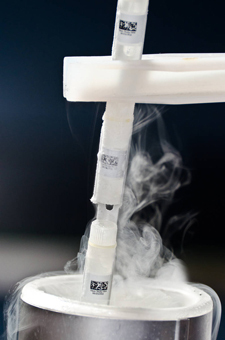 Use the correct temperature for the job is incredibly important. Usually 350° Celsius/700° Fahrenheit at the most. After watching this video, we truly believe you'll have an excellent grasp of how to perform the most basic soldering techniques. When you're ready to move on from there, Jones has a third video where he focuses on Surface Mount soldering (we'll look at Part 3 in a future blog post). As we've mentioned before, a visit to the EEV Blog will be an informative and fun experience, which will keep you coming back for more. The Q Source Resource will be filling you in about Part 3 of this video tutorial series soon, and we will continue to present you with helpful tips and tricks as often as possible. Please let us know whenever you discover an informative piece of information that you think is worthwhile to share with the Q Source community. For more information about quality soldering products, please visit the Soldering & Desoldering Department at QSource.com. IAC Industries has an extensive selection of quality, industrial workbenches and workstations. With that much variety and all of the extra options you can choose from, it can get a little confusing picking out a bench or workstation that's right for you. 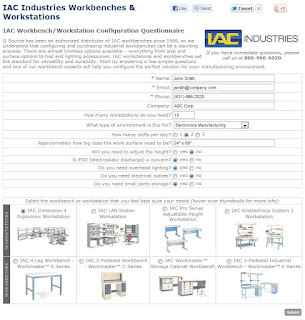 Q Source has now made it easier with the creation of our IAC Workbench/Workstation Configuration Questionnaire. Once you visit the questionnaire link, all you have to do is fill out your contact information, answer some brief questions about your work environment/requirements, choose the workbench or workstation that you believe best fits your needs, and then click submit to send the form to us. One of our knowledgeable experts will review your information and contact you with our best recommendation to satisfy your workbench needs. 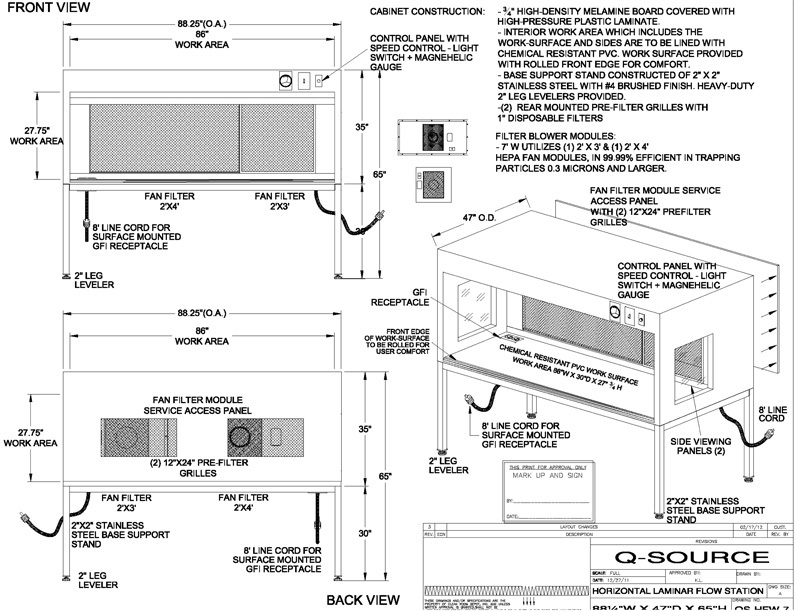 Q Source has been an authorized IAC distributor since 1998 and QSource.com offers hundreds of IAC workbenches, workstations, parts, and accessories. 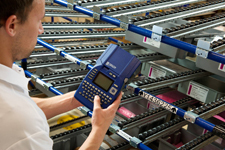 We are confident that we can help you find the exact IAC products you need at competitive prices. Try out our new IAC Workbench/Workstation Configuration Questionnaire now, or if you need to contact us right away, please give us a call (800-966-6020) or send us an email and we'll happily assist you. Fight Rust with Excelta Precision Tools - Avoid the Red Plague! 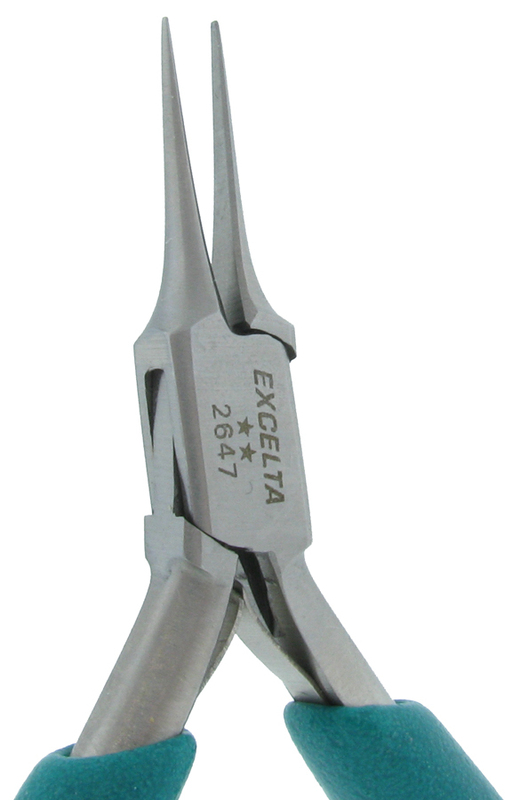 In Excelta's March/Spring 2012 newsletter, the precision tool manufacturer writes about "Rusty Pliers" and how often they come across competitors' tools that have been made useless by that evil red plague. 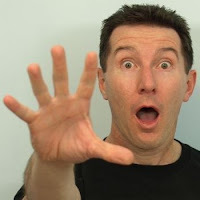 They go on to explain that because their 2600, 2800, and 2900 series of pliers are made of AISI 410 Stainless Steel they are practically rust-proof. Protecting your tools from rust and other damage helps your company save time and money and ensures the creation of quality work. To that end, QSource.com offers an extensive line of quality Excelta pliers, tweezers, wire cutters, and more. We're sure we have the best tools for your job, but if you don’t see it in our Excelta Department just let us know and we can track it down for you. The Q Source Resource wants to know what challenges you are faced with in protecting your tools AND what tips, tricks, or procedures your company uses to keep your tools damage-free and working on a daily basis. Please share your experiences with the Q Source community in a comment so we can all learn from each and create helpful solutions. If you have any questions about Excelta tools, or if you'd like to place an order, please contact us via our Web site, phone (800-966-6020), or email. When it comes to Lean, Brady is among the best at creating quality, innovative products to address 5S/Lean needs. 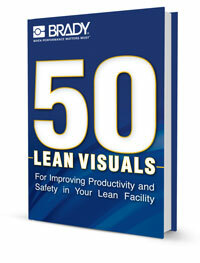 Brady's new pocketbook, "50 Lean Visuals for Improving Productivity and Safety in Your Lean Facility" is a FREE resource loaded with helpful tips for using Lean visuals. 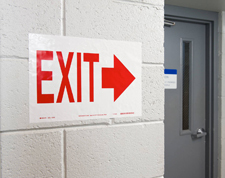 The fifty suggestions have been compiled by Brady's Lean experts and can easily be implemented in any facility. Using Lean visuals in the workplace has been proven to reduce waste, increase productivity, and improve safety. #7 - High Traffic Storage Areas - Floor areas that experience heavy traffic (e.g., dragging skids or pallets) should be marked with corner marks and dashed lines instead of traditional floor tape. #13 - Inside and Outside of Drawers, Cabinets and Toolboxes - All drawers, cabinets, toolboxes, and other organizers should be marked on the outside to clearly indicate what is contained within. #32 - Gauge Labels - Adding a simple gauge label enables any employee to easily detect abnormalities at a glance and at a distance. For 47 other great tips, download the pdf or fill out the online form to have a copy mailed to you. To browse our extensive selection of Brady products, please visit QSource.com’s Brady Department. 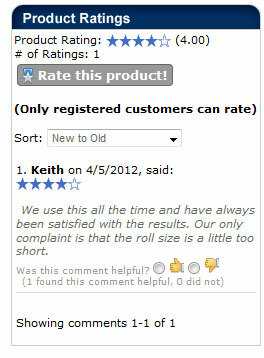 Customer service and feedback are important to us here at Q Source. And knowing what our customers think about the products we offer on QSource.com will ultimately help us to make your shopping experience a positive and satisfying visit. To that end, we've now made shopping at QSource.com an interactive experience. Our new product ratings and comments feature allows QSource.com visitors to rate and comment on every product on our Web site. The 1 to 5 stars rating system is currently open to all visitors to the site (and all the comments will be public so you can see what other customers are saying about each product). We look forward to reading your comments. As always, if our customers have a direct question for one of our knowledgeable experts, or wish to make a purchase, we can be contacted via our Web site, email, or phone (800-966-6020). Well, they've done it again…ASG Assembly has extended their FREE PS-55 Power Supply offer once again. This excellent, money-saving offer is now valid through June 30, 2012. We've previously featured ASG's Econo-Busters 6.2 offer twice before. Now, if you've missed your chance so far, the third time's a charm to take advantage of getting a FREE PS-55 Power Supply with the purchase of select ASG Electric Drivers from QSource.com. So, here's another chance, all you have to do is add the qualifying electric driver to your cart and we'll take care of the rest. The FREE Power Supply will be added to your order automatically. 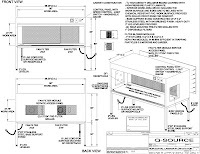 QSource.com carries an extensive selection of ASG Assembly products. Please visit our ASG Department to place your order. We can also assist you via phone (800-966-6020) or email if you have any questions about this offer or other ASG items. 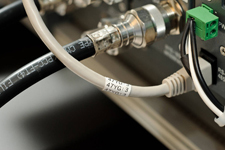 The newest in our TechCenter series of articles focuses on Brady's IP™ Series. 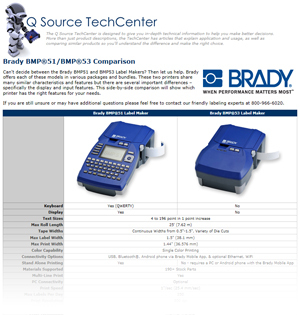 Now live on QSource.com, "Brady IP Series Thermal Transfer Printer Detailed Specifications" aims to educate you about these rugged, feature-rich thermal transfer printers. 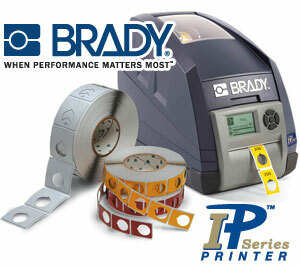 The Brady IP Series Thermal Transfer Printers are easy to use and are perfect for a variety of applications. Available in two models (the IP300 and IP600), these printers allow you to easily create and print text, bar codes, tags, graphics on labels, and wire markers. The IP300 (300 dpi) and IP600 (600 dpi) offer fast print speeds (200 mm/sec., 8"/sec. and 100 mm/sec., 4"/sec., respectively), a 4.16" (105.6 mm) print width, and the capability to print for a number of industrial applications including: compliance shipping, bin labels, regulatory arc flash, datacomm patch panels, and more. For more extensive information and specifications (including info about materials, physical properties, interface, and fonts/graphics) please read our detailed TechCenter article. And when you're done with that excellent article you can check out the rest of our collection including info about Brady's Portable Label Printers. To place an order for a Brady IP Series Thermal Transfer Printer, or for further information, please visit our Web site, give us a call (800-966-6020), or send us an email and one of our helpful experts will be happy to help you. Spring is here and it's the time of year when thoughts turn to…air ionizers (did you really think we were going to say baseball)! Our April Social Networking Sale offer will help you save money on all your Simco-Ion Ionizer needs. Simco-Ion creates quality industrial air ionizers that offer reliability and maximum performance. Taking advantage of our April Social Networking Sale will allow you to save an EXTRA 5% OFF Simco-Ion Ionizers such as the powerful Aerostat® XC, the Aerostat® PC, and the Top Gun™3. Just visit the Welcome tab of our Facebook page, and if you haven't already, like us. After that you'll receive the code to get the EXTRA 5% OFF for this month's sale and be all set to access future sales.